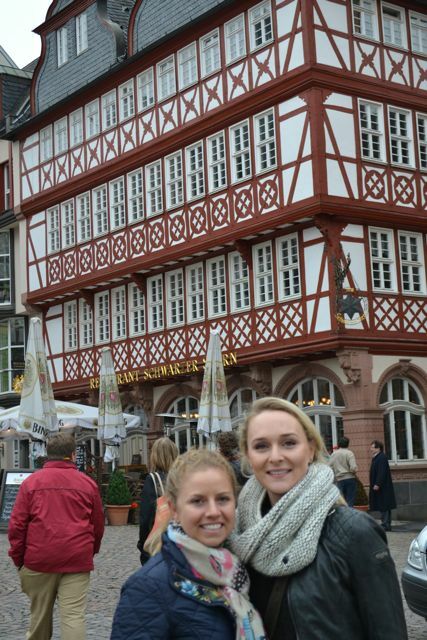 Last weekend we headed to Frankfurt, Germany for a short weekend break. The main reason for the trip was so that I could visit my former SLU Tennis teammate, Katha Becker, who grew up there and lives there now attending medical school. I hadn’t seen Katha since last summer in Amsterdam, so I figured we better meet up at least one more time before we move back to the States (which is only 4 months away!). 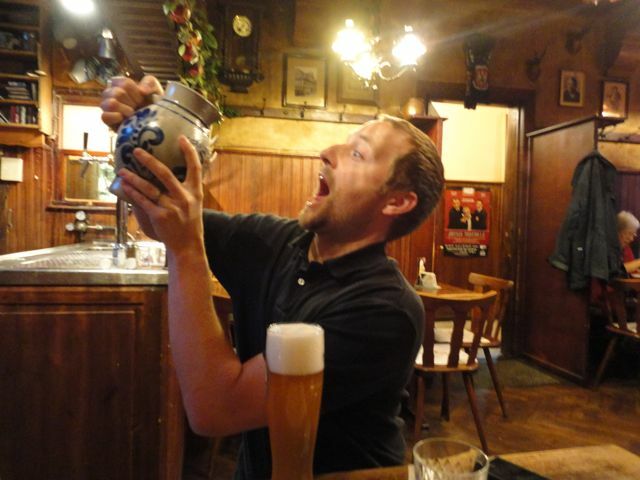 During the week leading up to our Frankfurt trip, I had a lot of people ask me where we were traveling to next, and when I told them Germany, most assumed that I was headed to Oktoberfest. Most people have heard of Oktoberfest, since it is a huge beer drinking festival, celebrated heavily in Munich and other regions of Bavaria. 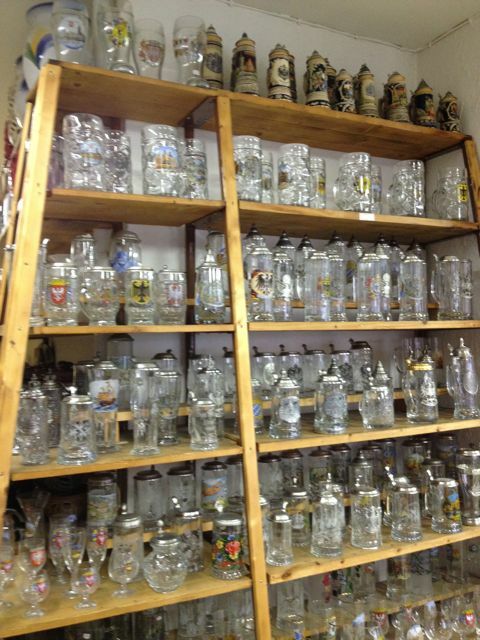 However, I realized that most people aren’t aware that Oktoberfest actually takes place in September. I agree, it makes no sense, “October” is in the name for crying out loud! But still the festival runs for about 16 days and finishes on the first Sunday in October, so I guess it does run into October a little bit, but the majority of it takes place in September. 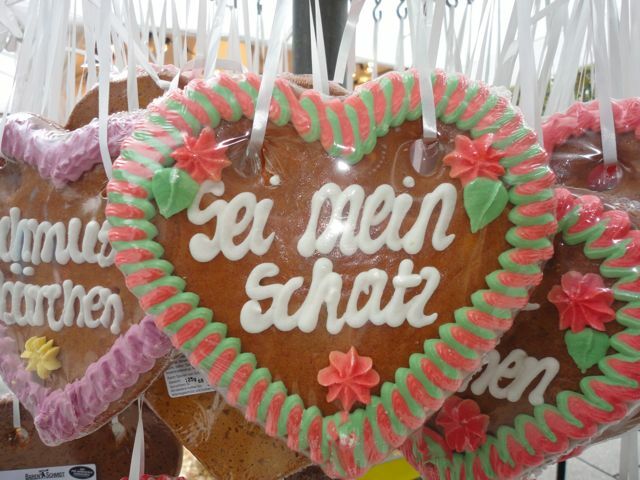 The festival originally began to celebrate the wedding between Bavaria’s Crown Prince Ludwig, who later became Ludwig I, and Princess Therese of Saxe-Hildburghausen. Ludwig I is the grandfather of the mad king Ludwig II, who is the guy who built the famous castle (Neuschwanstein) outside Munich that Doug and I visited last Christmas. 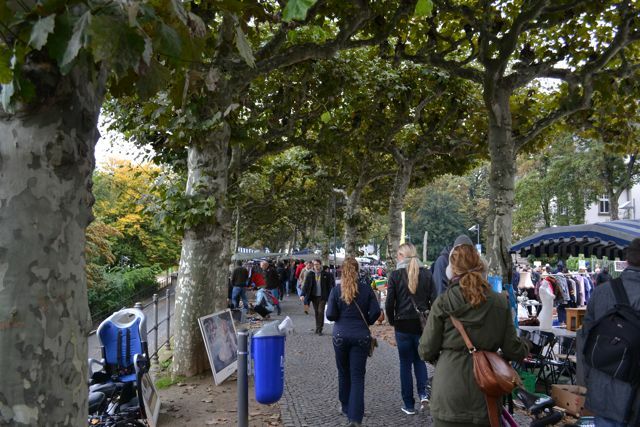 Anyway, Ludwig I’s wedding took place in October, but over time, they moved the festival earlier in order to have better weather and longer days (to allow for more drinking time I’m assuming). So to make a long story short: no, we did not travel to Germany to celebrate Oktoberfest because even though we were there from October 11-13, we were a week too late (and also not really in the right region). 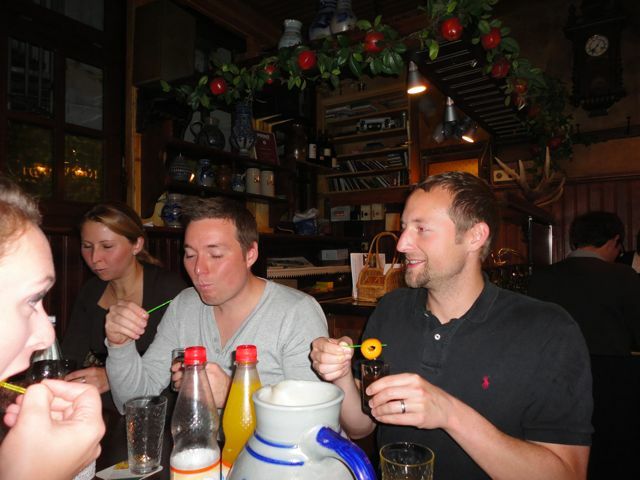 Still, don’t worry, we enjoyed plenty of German cuisine and drinks. 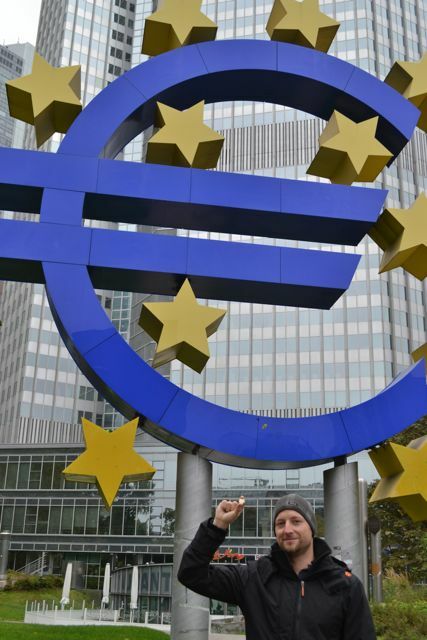 When I asked Doug what he wanted to do in Frankfurt, he replied, “Beer and sausage.” Haha. Well I’m happy to say that his demands were met! We left for Frankfurt on Friday afternoon, flying from Birmingham on Lufthansa. After East Midlands airport, which is only a 20 minute bus ride from Derby, I prefer flying out of Birmingham the most. It is a decent size airport, and also easy and cheap to get there from Derby on the train. And that’s exactly what we did. We took the Rolls-Royce shuttle from work to the train station, then took the train to Birmingham airport. It’s actually slightly more complicated than that since you have to switch trains at Birmingham city center to take a short ride to Birmingham International, and then you have to get on a people mover (tram-like vehicle) to get you over to the terminals, but it’s still pretty painless. And a lot better than fighting Friday afternoon traffic on the roads or paying for parking. The other perk in Birmingham airport is that they have real airlines, not just low-cost ones. 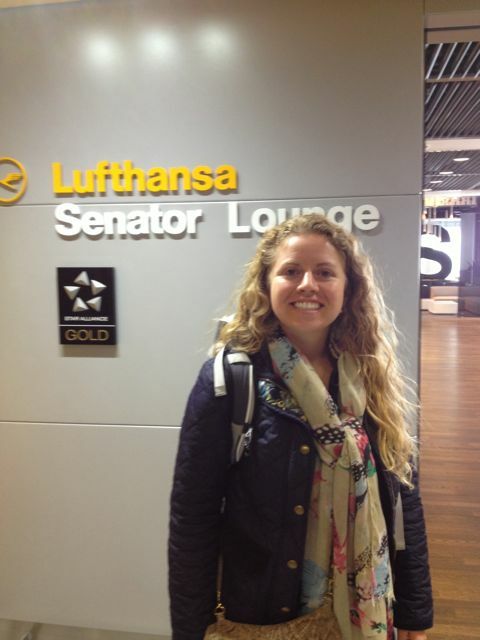 And since Lufthansa is a Star Alliance member, you know what that means: airport lounge! 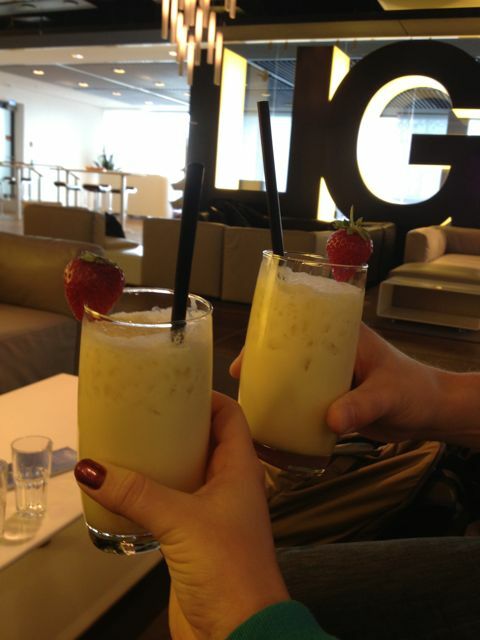 We didn’t really have too much time in the lounge this time, but definitely enough for a free drink. Our flight to Frankfurt was pretty enjoyable, especially since Lufthansa actually treats you like a human being and gives you a free drink, so that’s a bonus! 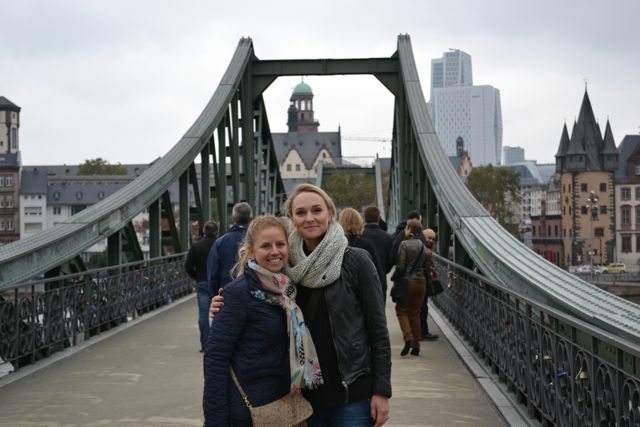 Katha picked us up from the airport and took us on the autobahn on the way to her house. Most Americans are in love with the idea of the autobahn – a highway with no speed limit – and to be honest, it does make a lot of sense. The Germans tend to follow the rules quite strictly, with the inside lane being reserved for the fastest vehicles, and then getting slower as you move to the outside. It was a smooth ride and I felt completely safe. 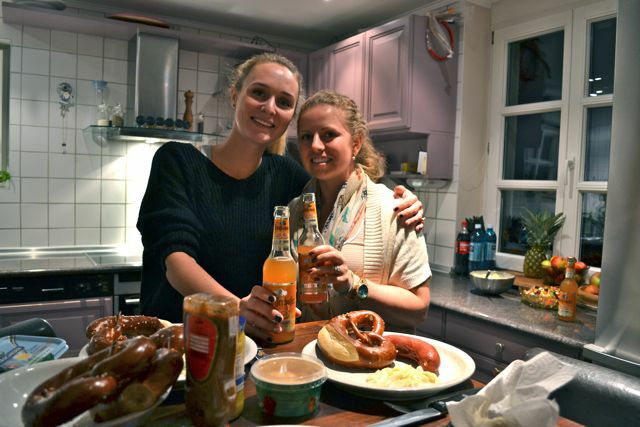 Arriving at Katha’s home, we were in for a treat: beer and sausage! I had told Katha Doug’s request and she definitely delivered! 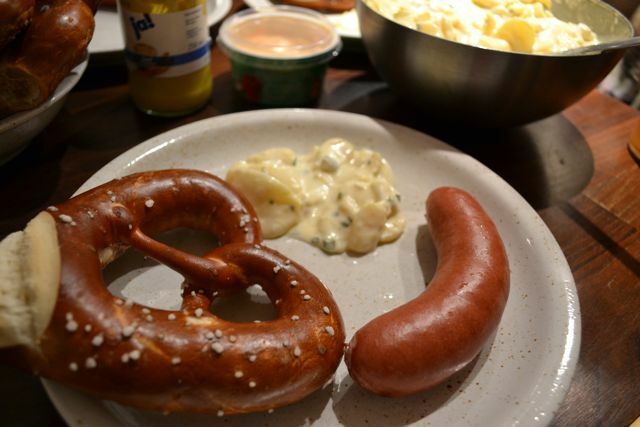 She had all different types of beer, traditional German sausage, and you can’t forget the potato salad and pretzels! 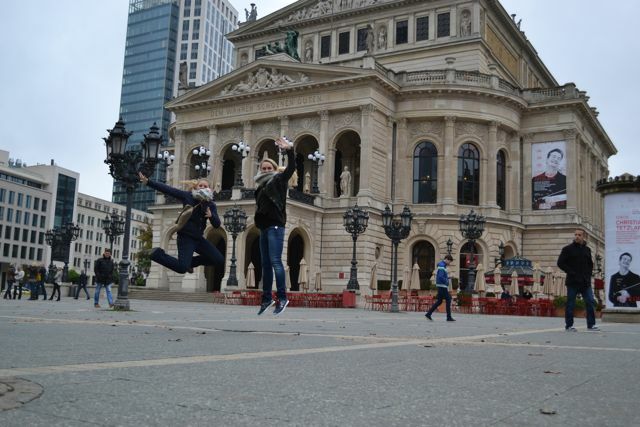 It was amazing, thanks Katha! Oh yeah, and don’t forget the gummy candies. 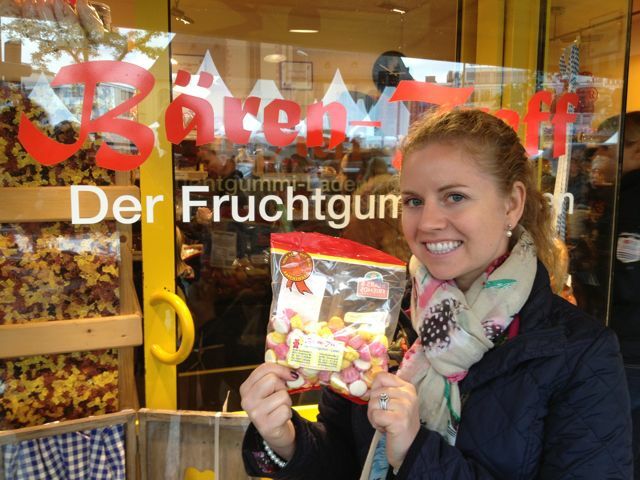 Germans are obsessed with gummies and you can find them everywhere and in all varieties. You know the gummy bears that you had as a kid? 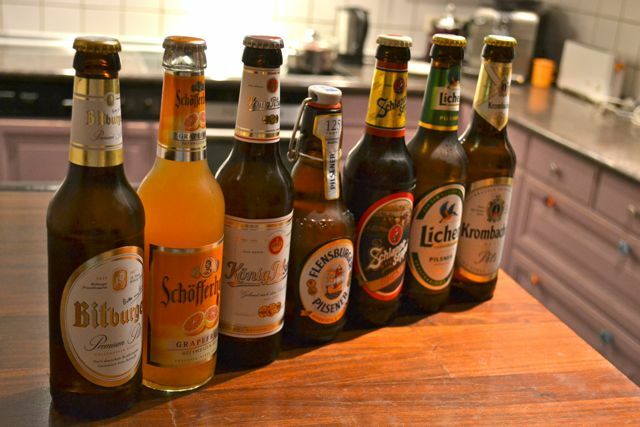 Those pale in comparison to the selection that you can get in Germany. The famous gummy bear brand, Haribo, was founded in Germany. Sadly, Dr. Hans Riegel, the co-owner and son of the founder of Haribo, died just 3 days ago at the age of 90. 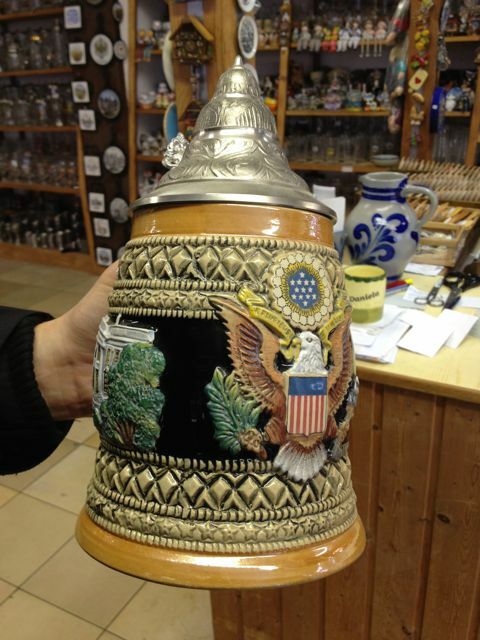 Katha provided a great German beer selection! Friday night we just chilled at home and caught up. 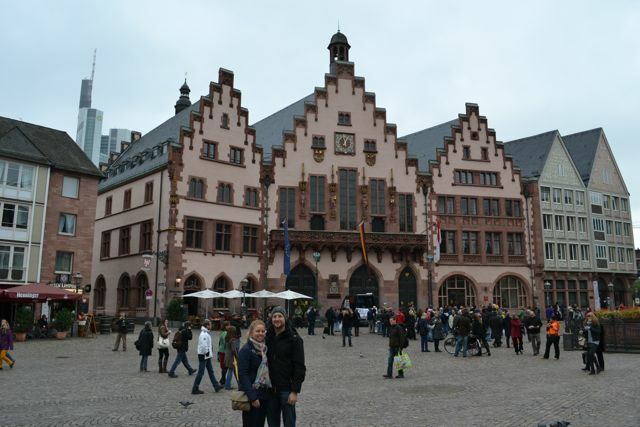 On Saturday, Katha had a full walking tour of Frankfurt planned out for us. 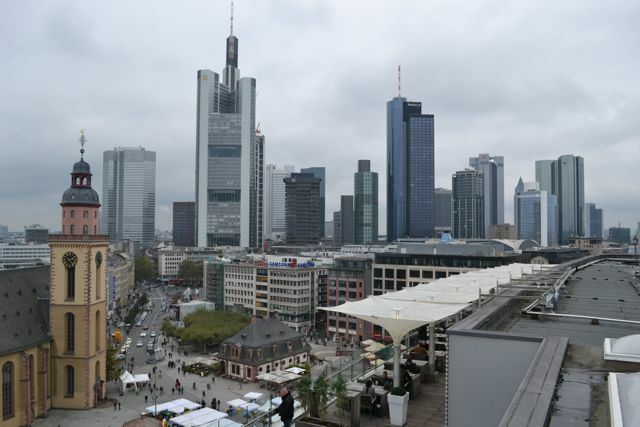 Frankfurt is known for being the financial center of Europe, and is therefore thought of as more of a business destination than a tourist one. While I can agree that Munich had more of a traditional feel to it, and Berlin had a more unique history and personality, I enjoyed Frankfurt quite a lot. Since it is home to huge banks and financial centers, it has all the amenities to meet the needs of those bankers, so there was plenty of shopping, restaurants, and nightlife. Katha took us on a tour around the city and I will attempt to name the places we went to; however, I couldn’t quite catch all the names of the places and streets, so you can just enjoy the pictures. 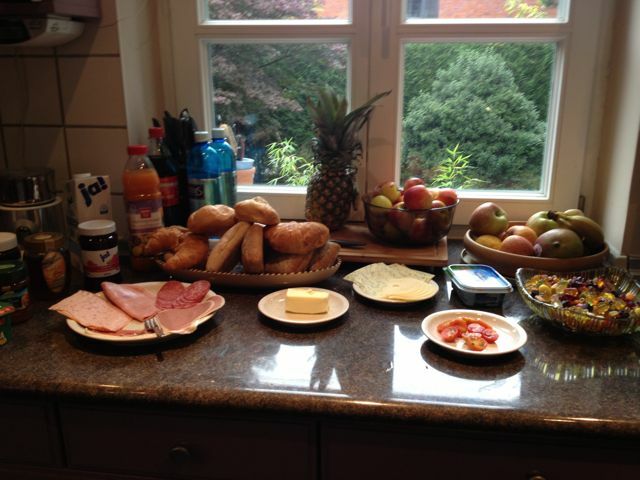 Started off the day with a traditional German breakfast (complete with gummies)! 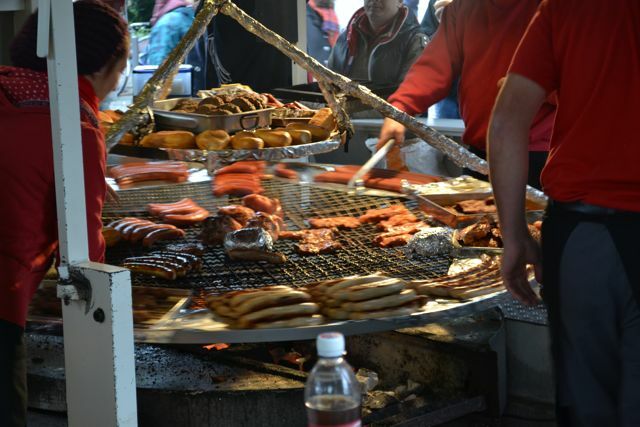 Some German street food… we didn’t get any on account of eating too much at breakfast, but it looked and smelled delicious! 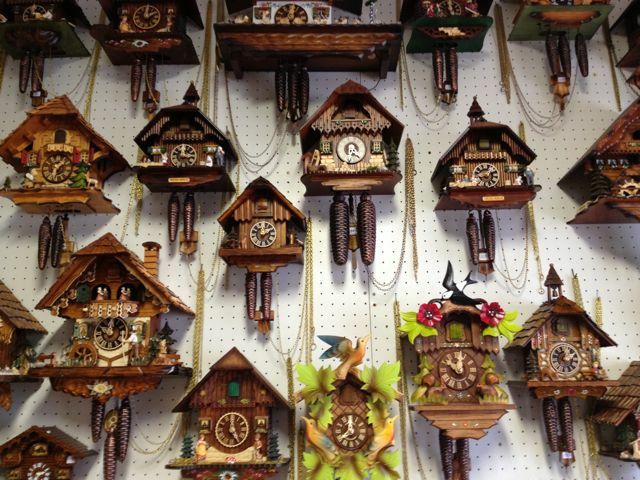 Katha took us to this amazing traditional German shop full of cuckoo clocks, steins, glasses, and more. The goods were all authentic and we weren’t in a touristy area, so the prices weren’t marked up. 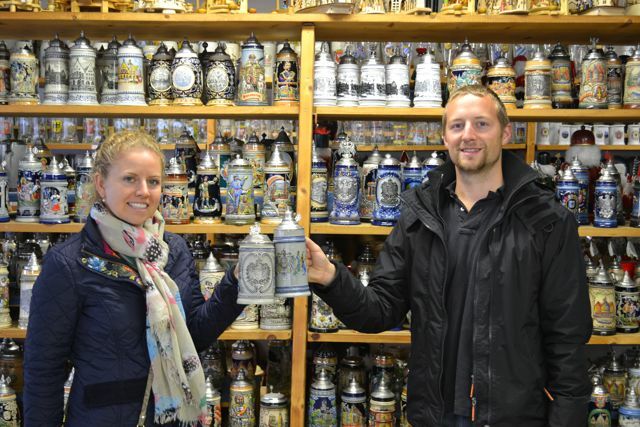 Doug and I got our very own beer steins! Cheers! 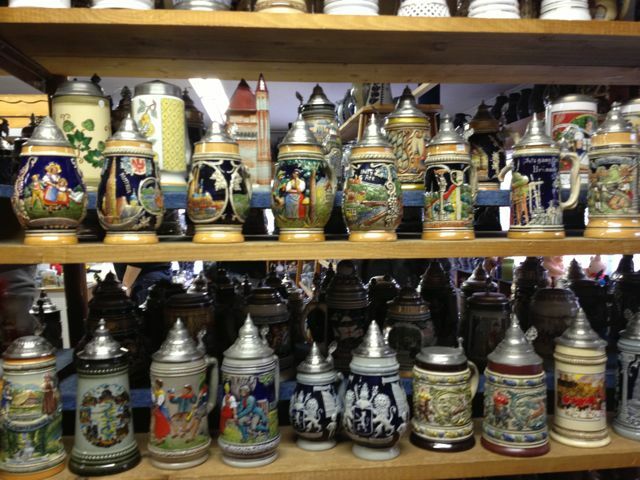 After much debating, and Katha translating between the store owner and us, we finally decided on our steins! They can go in the freezer, but not the dishwasher. 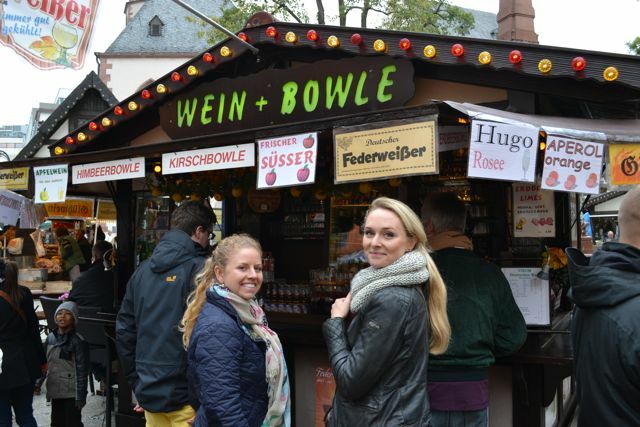 Time for our first gluhwein of the season (mulled wine). This one’s for you, Buki! 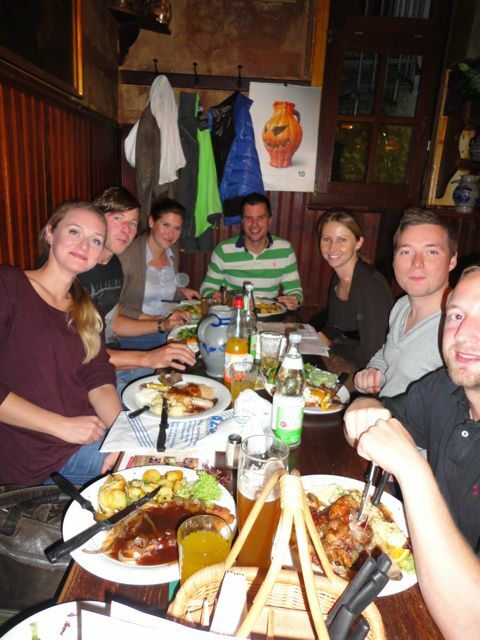 That evening, Katha took us out to a very traditional German restaurant, The Apfelwein-Solzer, and we had a great meal and got to meet a lot of her friends. 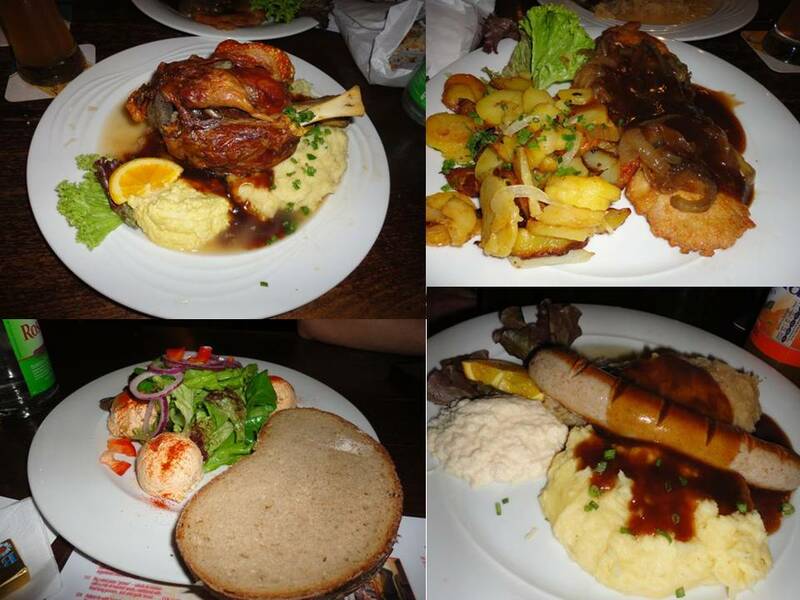 The region around Frankfurt is known for apple wine (apfelwein), and this restaurant makes its own. 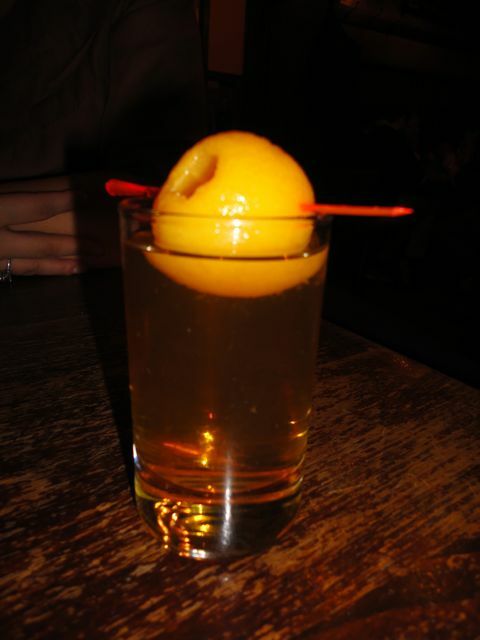 Of course, Doug and I tried the apple wine, but we both preferred it mixed with either lemonade or sparkling water. 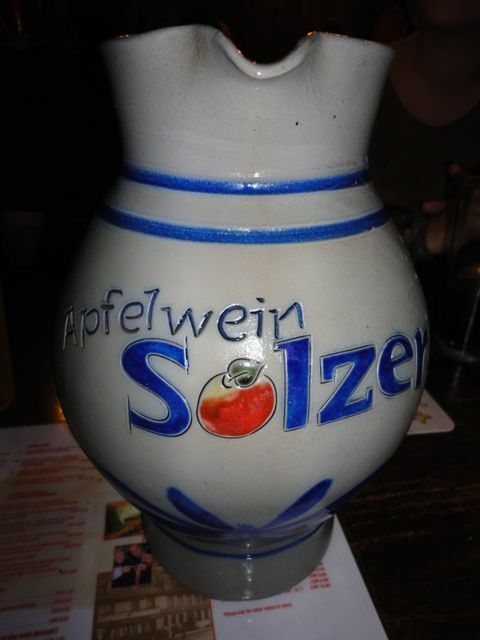 Don’t worry, we weren’t ruining it because even all the Germans at the table were mixing it! 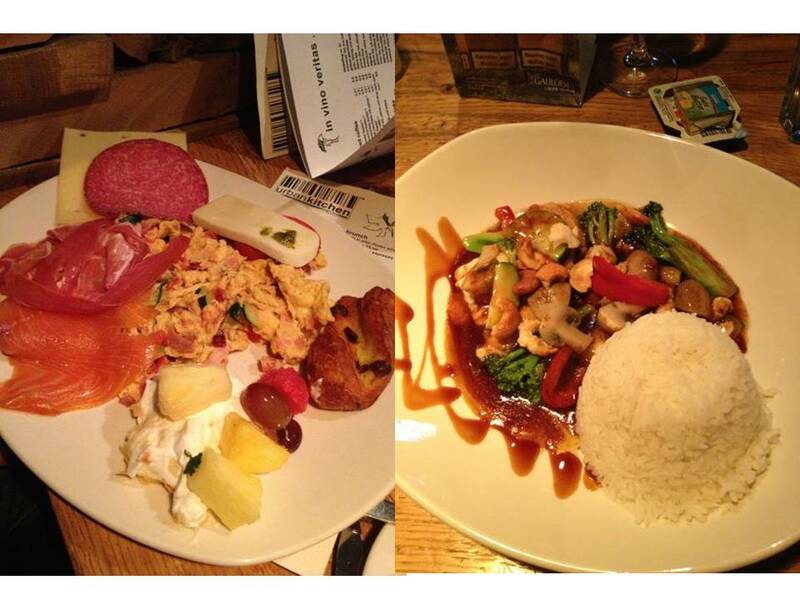 The dinner was amazing, huge, and great value. The company was also really fun – all of Katha’s friends were so nice and spoke English to us. They claimed to not be fluent in English, but I’m pretty sure they were all lying. 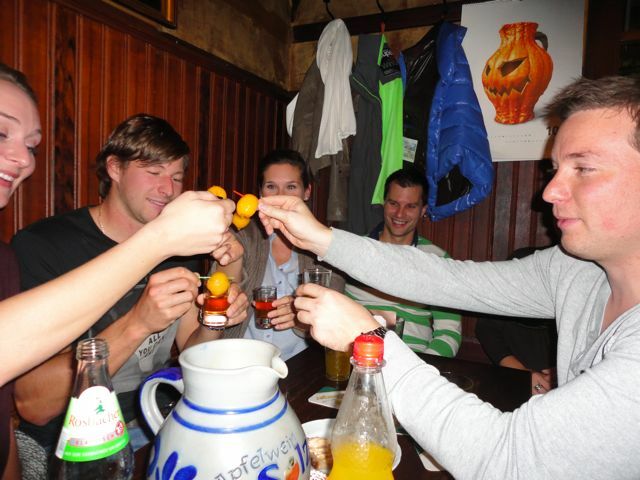 We had a really fun evening and a great thanks to all of Katha’s friends for speaking English to us that night! On Sunday we had “a lie in” as the Brits would say, which means that we slept in. 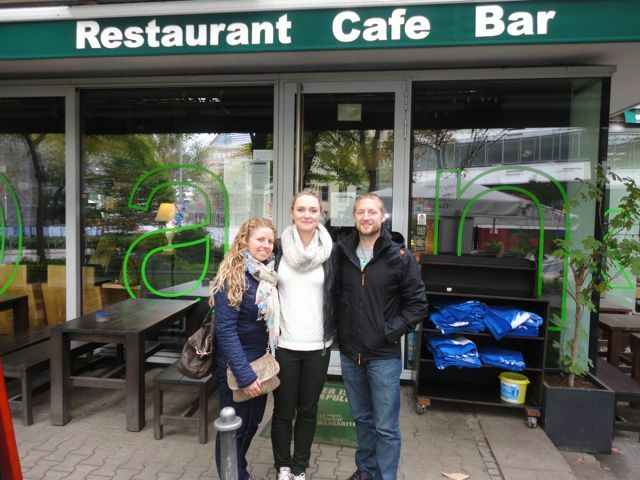 Then we made our way to brunch with Katha and her boyfriend Tobi. As you can tell, one of the main themes of the weekend was eating well. Brunch was delicious again! It was at this place called the Urban Kitchen, and not only did they have a full breakfast buffet, but you could order anything off the menu and as much as you wanted and it was all included in the same price. After brunch, we had a nice walk around the city to try to walk off some of the food. Fortunately, this was one of the rare Sundays that shops were open. Apparently, most things are closed on Sunday, but every now and then, they will have special days where they are open, and this happened to be one of them. Lucky for us so we could have a browse as we walked around! After some shopping, it was time to head to the airport and say goodbye. 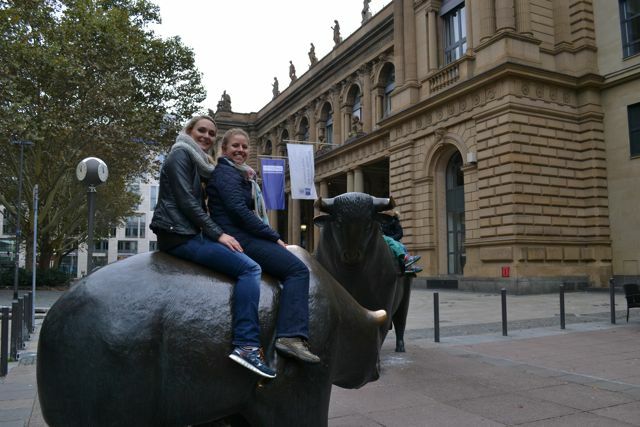 Katha kindly dropped us off, and I want to thank her for an amazing weekend in Frankfurt. Also her mom for letting us stay at their house! They were so hospitable and I hope to return the favor one day! 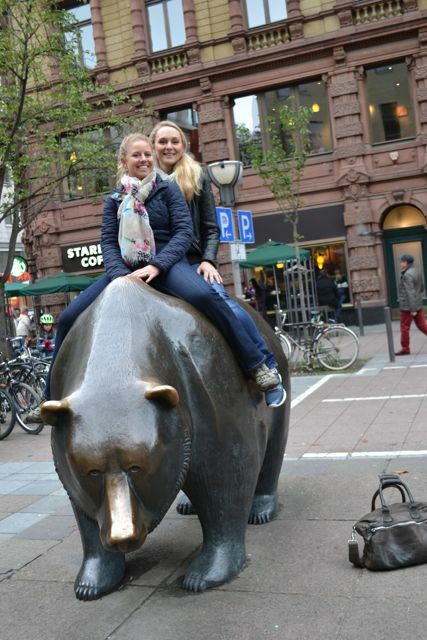 It was also really great having a local tour guide which always increases your fun in a new city (and lowers stress). At the airport, we got to enjoy some more lounge time. Somehow Doug’s Star Alliance Gold Card got us in the Senator Lounge, which is reserved for first class passengers, meaning even those in business class aren’t good enough. It was by far the best lounge I’ve ever been in. Cheers to that with a pina colada! It was sort of a shame we had already eaten a huge buffet brunch because they had a whole spread of German food that we didn’t have room for. Senator Lounge? Don’t mind if I do! Overall, a great weekend and I think Doug accomplished his goal: beer and sausage.